BUONAMICO MARBELLA celebrates International Women's day on 8th March 2017 with free wine for all ladies! 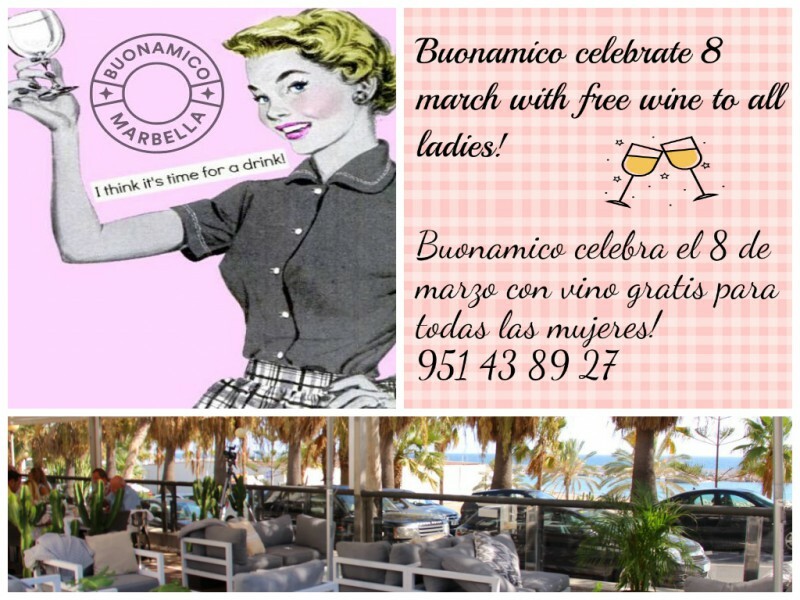 This year to celebrate the International Women's day, this March the 8th BUONAMICO MARBELLA offers free wine to all the ladies! International Women's Day (IWD) has been observed since in the early 1900's - a time of great expansion and turbulence in the industrialised world that saw booming population growth and the rise of radical ideologies. International Women's Day is a collective day of global celebration and a call for gender parity. 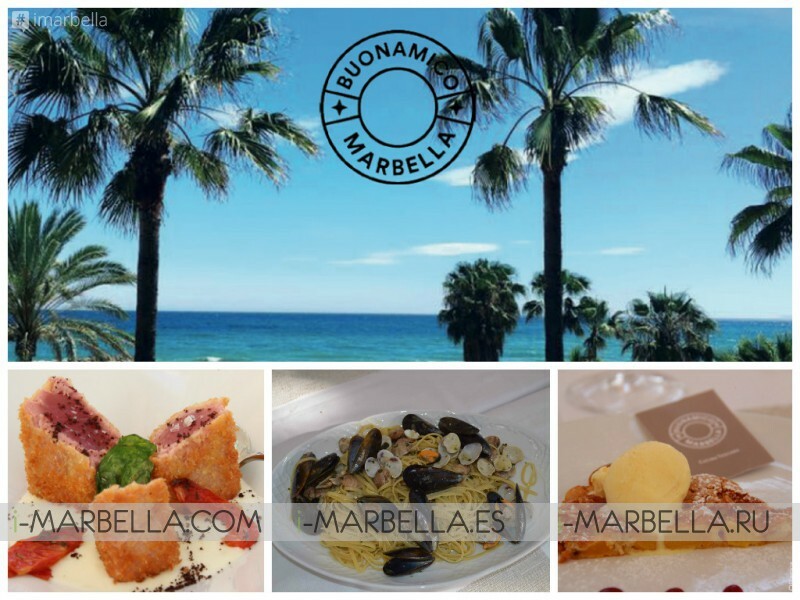 At Buonamico Marbella all is set for the celebration of the hard effort invested into making our world gender equal. 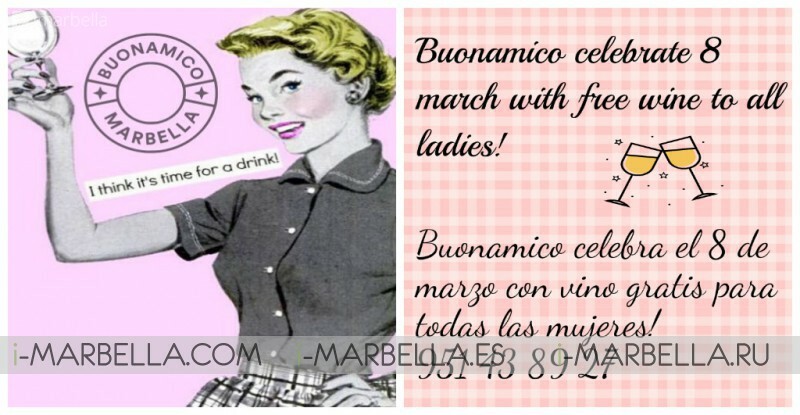 BUONAMICO MARBELLA celebrates International Women's day at 8 march with free wine to all ladies! This year you #BeBoldForChange on International Women's Day 2017 and beyond by taking groundbreaking action that truly drives the greatest change for women. Each one of us - with women, men and non-binary people joining forces - can be a leader within our own spheres of influence by taking bold pragmatic action to accelerate gender parity. Through purposeful collaboration, we can help women advance and unleash the limitless potential offered to economies the world over. We have urgent work to do. Are you ready to #BeBoldForChange this IWD 2017 and beyond? Come to enjoy not only traditional Tuscan cuisine but also spectacular views and a friendly atmosphere!